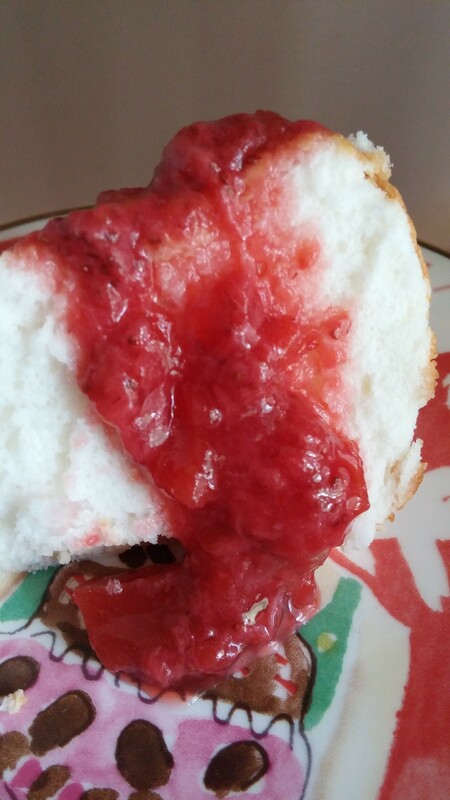 I created a compote that is sweet and oh so good! A compote is a fancy word for fruit in sugar syrup, basically a fruit sauce! My goal was to create a sauce that was delicious but without a ton of sugar, I think I accomplished it! 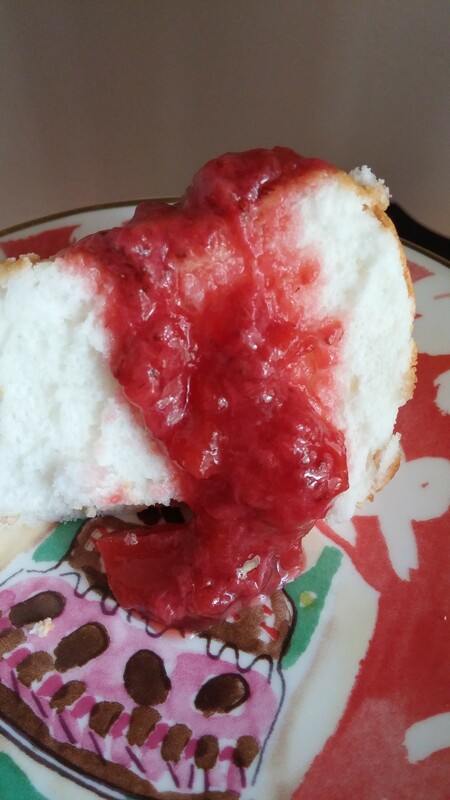 I served the compote on top of angel food cake. I also have dipped strawberries in it! It can be served in yogurt for a delicious snack or even used in place of jelly to accompany your peanut butter! ENJOY! Puree 1/2 cup strawberries and 1/2 a peeled nectarine in a food processor, blend until smooth. Add this to a sauce pan with 1 1/2 cups chopped strawberries, the other half of the nectarine peeled, 2 TBSP sugar and juice from a half a lemon. Bring to a boil, reduce temperature and allow to simmer for at least 10 minutes, I did it for 15 minutes. Delish!